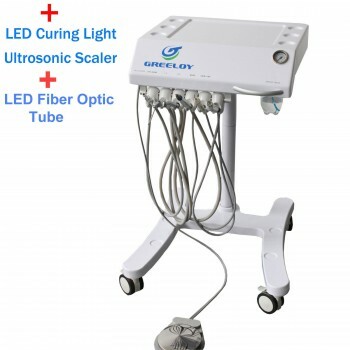 Buy Cheap Greeloy®GU-P302 Mobile Dental Cart Built-in LED Curing Light Ultrasonic Scaler form Alandental.com|Dental Equipment for Sale! 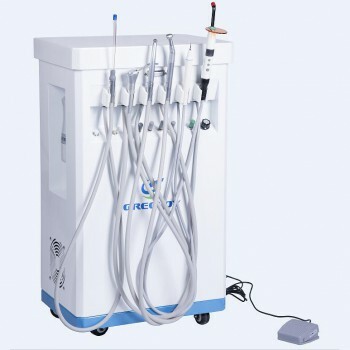 Mobile Dental Unit GU-P 302, it’s main applications are for oral heath and treatment. 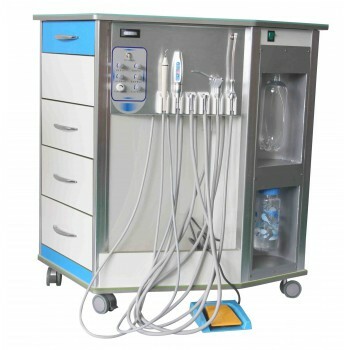 It is a indoor operation unit, mobile design, novel appearance, and easy operation. Professional medical casters with brake, very silent to move, reveal the high-end quality. Light weight, freely to remove. 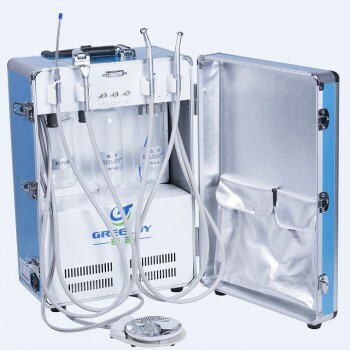 Can with a external air supply system, or here is a portable dental air compressor as option. 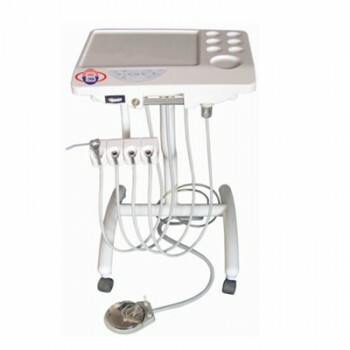 It come with built-in led curing light and ultrasonic scaler. Please note this cart do not come with the handpieces shows in pics. Buy handpiece please click here.